Prepare to up a shirt size. For there are chest workouts, and then there are chest workouts. 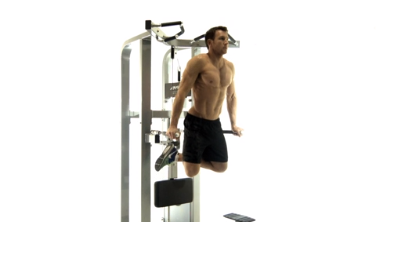 This high-rep circuit from top PT Phil Sims is designed to expand your muscles glycogen stores, increasing your bulk and endurance levels for workouts to come – like the the 400-rep ultimate arm-building workout or the 500-rep larger-leg circuit. You might want to save those two for another day, though. Don't worry, you don't have to complete all 100 reps at once – you can split the rep total into 4 sets (that's 25 reps at a time, maths fans). Pick a weight that you can initially manage complete 20 reps with. Hold a dumbbell in each hand and lie on an incline bench. Start with your arms extended directly above you and then slowly lower them out to the side, keeping a slight bend at the elbow. Reverse the action and bring your arms above you again, then repeat.